Health secretary Jeremy Hunt has announced today that the ‘special measures’ initiative, which was created to trouble-shoot failing hospital trusts, is to be rolled out to include care homes and homecare services. In serious cases where hospitals, and now care services, are not providing good and safe care to patients and the management cannot ‘fix’ the problems by themselves, action will be taken to improve the hospitals or healthcare provision. This action is called ‘special measures’. The scheme involves action by three organisations: the Care Quality Commission, Monitor (the sector regulator for health services in England) and the NHS Trust Development Authority. ‘Special measures’ include a number of actions that these three health sector regulators can take to turn around failing hospitals. The regulators decide for each case which of the special measures actions to use. The initiative was initially used for failing hospitals. It will now also be applied to care homes and homecare services where there are problems with the quality of care provided to some or all service-users which the leadership of the home or service cannot ‘fix’. If these care homes and homecare services fail to make improvements they could face being shut down under the ‘special measures’ scheme. Today’s announcement means that more than 25,000 care services will be subject to the failure regime. Putting healthcare providers in ‘special measures’ was a move introduced as part of the Government’s response to the Stafford Hospital scandal, which arose after a public inquiry uncovered that poor care may have led to the deaths of hundreds of patients as a result of maltreatment and neglect. A year ago, following a review into 14 other hospital trusts with higher than expected death rates, 11 trusts were put into ‘special measures’ for a series of failings and fundamental breaches of care. One of these was Colchester Hospital University NHS Foundation Trust. The Care Quality Commission has recently announced that, since the trusts were put into the ‘special measures’ regime, most have shown major improvements. So much so that five of the trusts have been, or are expected to be, taken out of special measures. Four have made improvements but will be kept in the scheme for a longer period and decisions on the final two will be announced later in the week. Colchester Hospital is one of the four trusts to be kept in the scheme. Naomi Eady, Medical Negligence Solicitor, at Thompson Smith and Puxon says “The shocking goings-on uncovered by the Panorama investigation at the Old Deanery Care Home in Braintree, Essex, illustrate how important it is that all institutions providing healthcare services, particularly to those who are vulnerable, are subject to an effective and pro-active regime which closely monitors and vigorously protects patient safety. 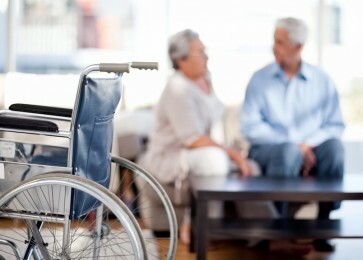 It is hoped that the introduction of ‘special measures’ to care homes and homecare services goes some way to implementing the effective regime that is so vital”.